Gary Rogers; Sean Gannon, Brian Gartland, Sean Hoare, Shane Grimes; Chris Shields (Robbie Benson 56), Conor Clifford; Dylan Connolly, Patrick McEleney, Michael Duffy (Steven Kinsella 74); David McMillan (Thomas Stewart 68). Barry Murphy (Lukasz Skowron 13); Michael Barker, Jordi Balk, Lee Desmond, Ian Bermingham; Owen Garvan, Paul O'Conor (Jonathan Lunney 61), Graham Kelly; Conan Byrne (Rory Feely HT), Christy Fagan, Billy Dennehy. Two goals by David McMillan in first half injury time set Dundalk on their way to a blistering win against St Patrick's Athletic at Oriel Park. Liam Buckley's side looked like they would go in all square at the break but McMillan's quickfire brace left them stunned. His first arrived in the 46th minute, the former Pat's striker slamming home his 14th league goal of the season. 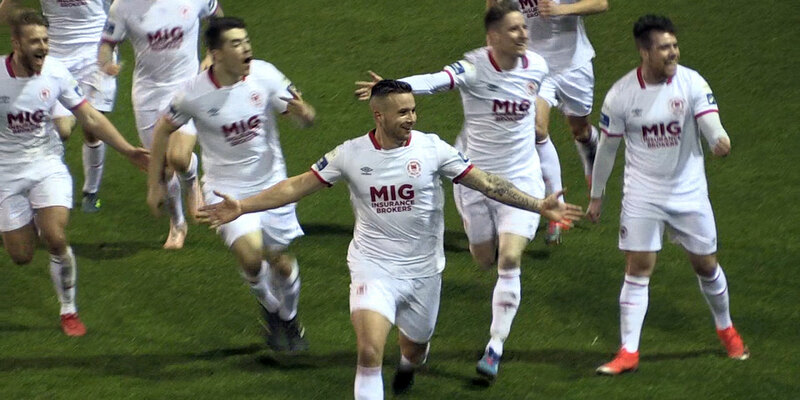 It came from the penalty spot after referee Jim McKell, making his first appearance at the Louth venue since the night he awarded Bray Wanderers two controversial spot kicks back in April, decided that the Lilywhites striker had been upended by Lee Desmond. Pat's were left furious by McKell's decision with Ian Bermingham given his marching orders in the aftermath. And Dundalk landed the knockout blow in the 50th minute of the half when McMillan met a Michael Duffy corner to bury a header past substitute goalkeeper Lukasz Skowron. 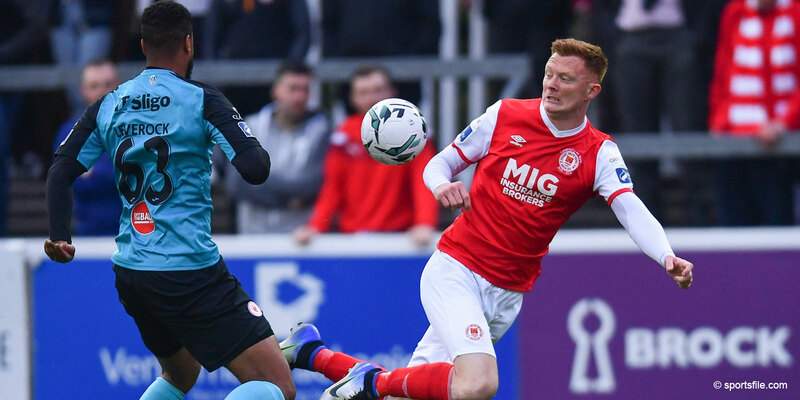 Stephen Kenny's side had the better of the opening stages and McMillan almost broke the deadlock in the eighth minute, hooking Sean Gannon's lofted pass over Barry Murphy only to see Jordi Balk clear before the ball crossed the line. Murphy injured himself in the process, the goalkeeper stretchered off after a lengthy spell of treatment. Polish netminder Skowron came on to make his League of Ireland debut. The visitors had chances of their own. 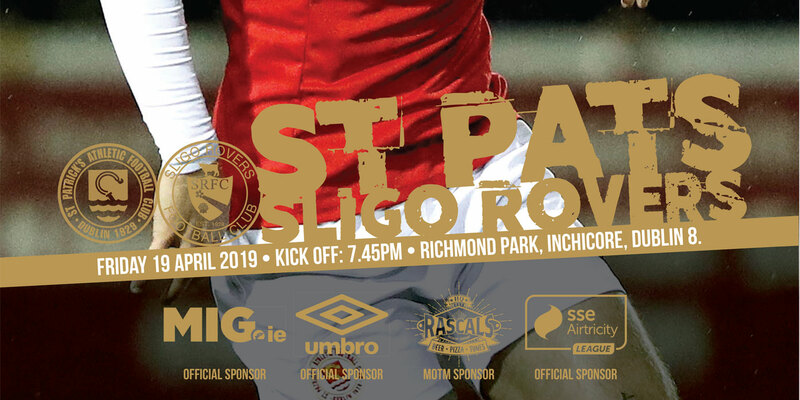 Paul O'Conor just couldn't dig the ball out after a corner fell invitingly into his path and Graham Kelly then curled a lovely right-footed effort over the top of Gary Rogers' crossbar with 21 minutes played. Dundalk ramped it up after that and Skowron had to get down low to his right and make a smart save in the 39th minute to stop Duffy from breaking the deadlock. Pat's started to feel the strain and Duffy tormented Michael Barker again 60 seconds later, picking out McMillan in the centre but his goalbound flick was cleared off the line by Desmond. It looked like the visitors had weathered the storm but they were rocked by two goals in the five additional minutes at the end of the half. Graham Kelly could, and maybe should, have pulled Pat's back into it just two minutes after the restart but he watched his 20-yard effort bend just wide of the upright. It was a case of damage limitation after that as Dundalk hit the accelerator and Sean Gannon broke inside from the right and guided a cool finish past Skowron to make it 3-0. McMillan should have bagged his hat trick in the 57th minute but he missed the target from a great position, much to the disbelief of those who were already cheering in the stand. Substitute Robbie Benson tapped home on the hour mark after great work by Duffy in the build up and another replacement, Thomas Stewart, hit number six late on.